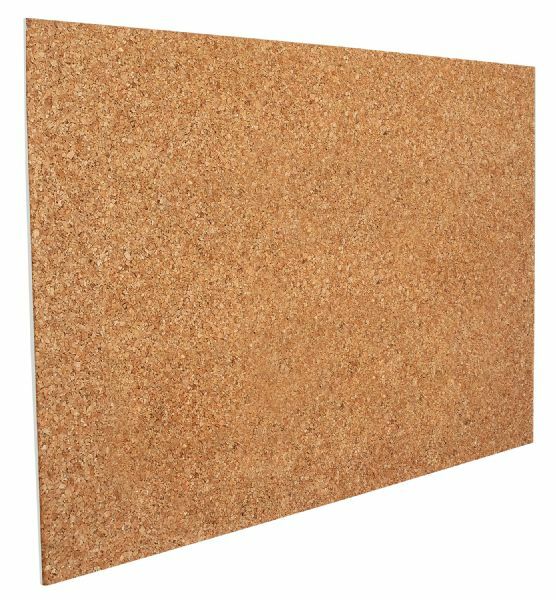 Reusable cork surface works for decorations or displays. * Foam board is thick enough that push pins or tacks will not show through the back of the board. * White foam board backing on reverse for two surface options. * Lightweight yet sturdy construction. * Can be cut to smaller sizes. * 20" x 30" x 3/8" thick. 31" x 21" x 4.75"